The Challenge: Incorporate a very unique and contemporary-style home into a naturalistic landscape. 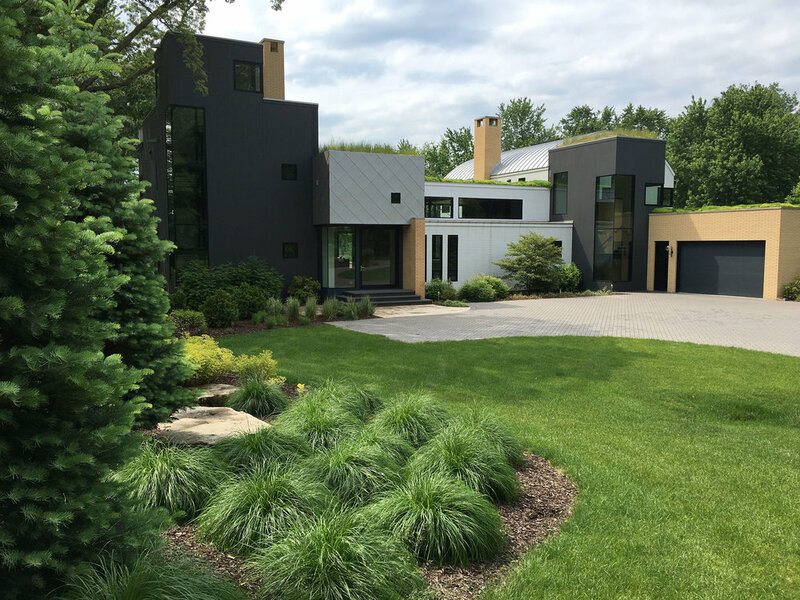 The Solution: Being a fairly large section of land, the home's curvilinear design was chosen to incorporate different views of the exterior landscape. Sweeps of grasses and mass plantings add a softening effect to the horizontal lines along the rooftop in two different areas. The infinity edge pool incorporates and compliments the views of the Galien River as well as the outer wetland areas. 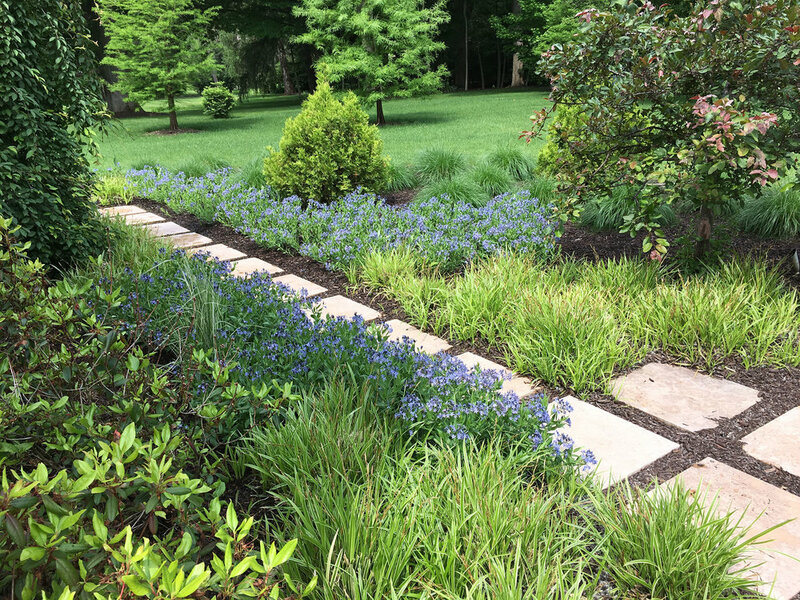 Overall Effect: Simple yet elegant plantings and the use of irregular outcropping stone contrasts with a very uniform brick veneer. A dramatic setting from all angles.